When Kevin Wallenbeck founded RVingPlanet in 2009, his goal was to create “The Guide” for people looking to buy a recreational vehicle. Fast-forward to now, and you can clearly see he has achieved his objective. Today, RVingPlanet guides shoppers through their buying journey by providing innovative RV research tools, insightful checklists and worksheets, as well as information on every RV for sale from reputable dealerships and private sellers throughout the United States. In other words, it offers a treasure trove of information for shoppers and enthusiasts including photos, descriptions, specifications, floor plans, plus brochures of nearly every recreational vehicle being currently manufactured. We wanted to know more about RVingPlanet, and how they’re using ConvertFlow to grow their business, so we interviewed Nate Morse. Nate heads up business development for the company. By combining marketing automation with useful content and digital marketing, he delivers an amazing online experience to RV shoppers. He also facilitates dealer and partner acquisition in orders to give shoppers the best available options at every stage of the buying process. 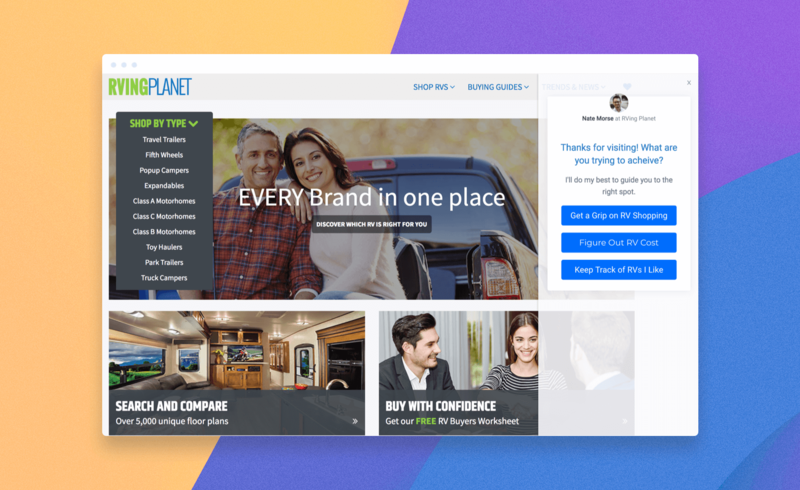 RVingPlanet guides shoppers through their buying journey by providing innovative RV research tools, insightful checklists and worksheets, as well as information on every RV for sale from reputable dealerships and private sellers throughout the United States. 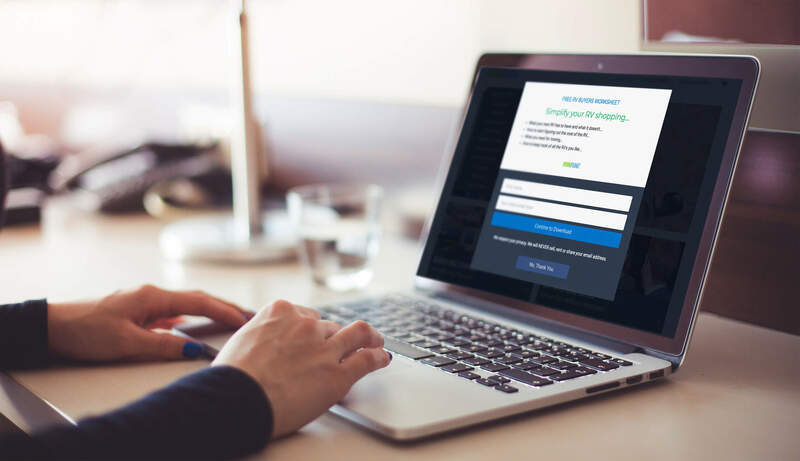 In response to our question about the kind of measurable results they’ve seen so far, Nate told us: “ConvertFlow has helped us get at least 10,000 leads that I don't believe we would have gotten otherwise”. Most power users tell us that ConvertFlow’s on-site retargeting capabilities set it apart from most other lead generation solutions, and Nate couldn't agree more. RVingPlanet currently uses Infusionsoft as their CRM. Using ConvertFlow’s Infusionsoft integration, Nate and his team is able to capture, segment and convert leads using personalized CTAs and on-site messages based on visitor behavior and Infusionsoft data. In closing, we asked Nate about his and Kevin’s future plans for growing RVingPlanet, and here’s what he told us: “We will continue to strive to create a deeper, more robust way to take shoppers thinking about RVing all the way to happy campers. Have a ConvertFlow story you want us to feature?